"Killing Gunther" has Arnold Schwarzenegger playing the world's greatest hitman and it's pretty fun, but super dumb. Arnold's gotta eat. Welcome back, everyone! It's time to dive back in to all things bingeable. "Pod Save America" has been on a roll since its inception in January. 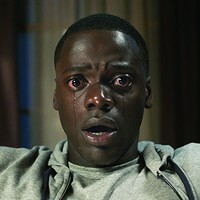 Its levelheaded, yet blisteringly hilarious look at the current occupants of the White House is just enough to keep the most panicked progressive sane. Four former aides to Barack Obama take on the Trump administration with dignity, intelligence and a beautiful sense of irony without giving in to depression. The most recent episode delves into Doug Jones' improbable win over Rapey McBannedFromMalls and it's the perfect place to start. In case you're tired of hearing about the state of the world and would like a bit of fiction with your podcasts, "Homecoming" is a chilling psychological thriller about a caseworker in a mysterious government facility treating a soldier with PTSD. The main character quickly comes to realize that all is not as it appears. Sam Esmail, creator of "Mr. Robot," is turning the podcast into a TV series, so pretty soon there will be a multitude of ways to consume this painfully addictive story. The end of the year is usually pretty slow with DVD and BLU releases since studios want their products in stores before Christmas, but there are still a few interesting indie things coming out. Three blisteringly violent and darkly hilarious action flicks are all coming out the day after Christmas, so if you need a belated present... you could do worse. 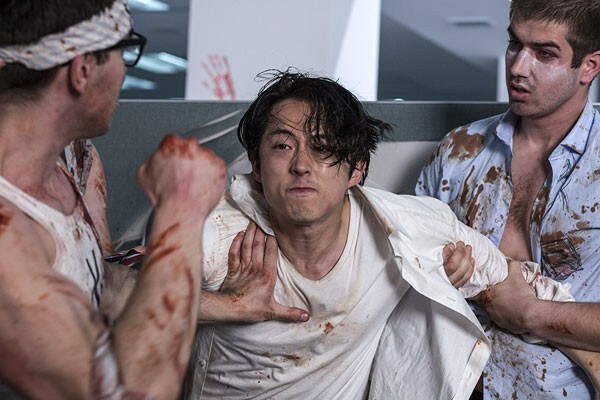 "Mayhem" follows Steven Yeun (Glenn from "The Walking Dead") as a disgraced office worker caught in the middle of a viral apocalypse. Picture "Office Space" meets "28 Days Later," but also startlingly original in its ability to create weirdly violent imagery. The real catch is "Brawl in Cell Block 99," a slow-burn prison beat-em-up starring Vince Vaughn in his best work since "Swingers." Directed by S. Craig Zahler, the mastermind behind the criminally under-seen "Bone Tomahawk," this action-drama will be treated like a classic in a few decades. Bald Vince Vaughn in "Brawl in Cell Block 99"
The first two seasons of "Ash vs the Evil Dead" have been added to Netflix. The series is the true sequel to Sam Raimi's gory spook-a-blast we've been waiting for. The show understands Ash on a cellular level, so every choice he makes is at once deeply disappointing and hilariously inevitable. It's the definition of "Bingeworthy," as every episode dramatically escalates the situation from fighting a single demon to saving the world. Or you could just watch "Boss Baby," I guess. If there's anything you think I should take a closer look at in the realm of Podcasts, Netflix or pop culture in general, shoot me a line at Jared@bendsource.com.